Mission: am art space intends to develop the cooperation between Shanghai and Foreign Art Residence Organizations, allowing foreign artists to live and work in Shanghai for a period of time, and assisting Chinese artists in travel to foreign countries for cultural exchange. In cooperation with artists, art galleries, and cultural institutions - both Chinese and international - a.m. space will continue to host contemporary art exhibitions and cultural events and provide gallery and living space for international artists. 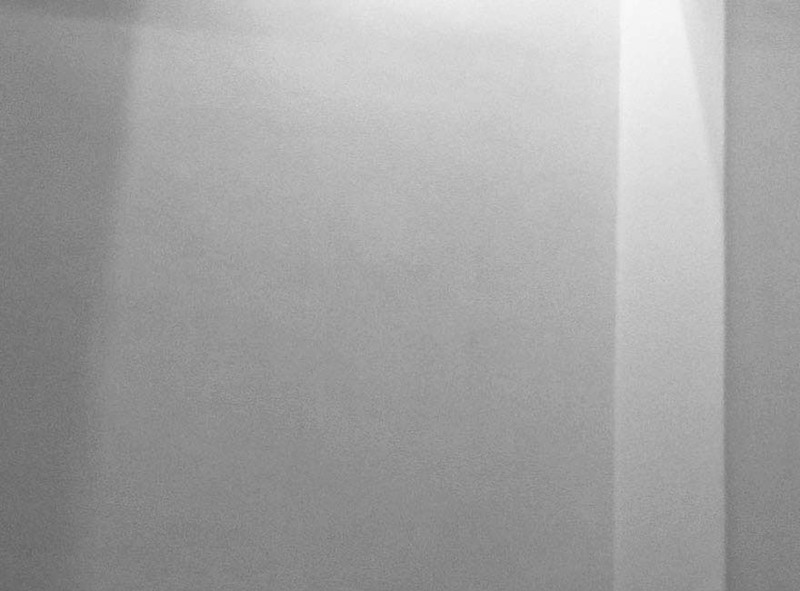 Media: Visual arts, Sculpture, Installation, Performing arts, Music, Literature. Conditions: The length of the residence should be no shorter than one week and, in general, should not exceed 4 weeks. Artists are expected to work in the gallery space during the residency; our space is open to the public during this period. An exhibition of the artist’s work will be scheduled at the end of the residency. Artists are asked to give at least one work of art to am art space. 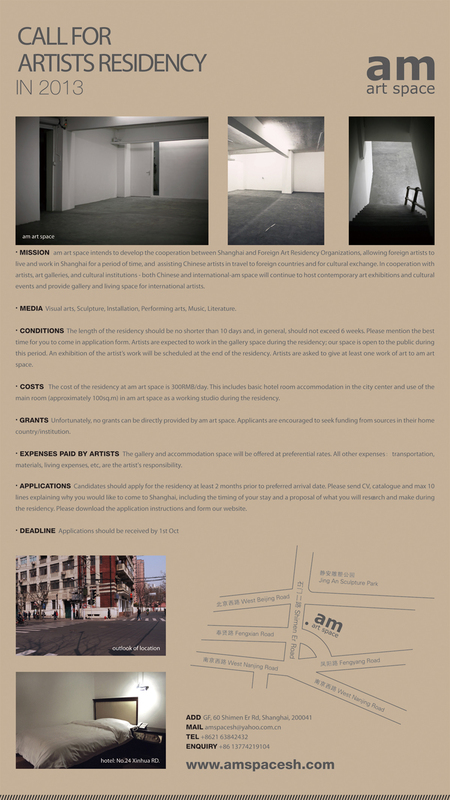 Costs: The cost of the residency at am art space is 300RMB/day. This includes basic hotel room accommodation in the city center and use of the main room (approximately 100sq.m) in am art space as a working studio during the residency.